To say that manufacturers are always on a quest to find a good deal is to understate the point. Manufacturers are actually always on a quest to find the best deal, and for a long time now, what passed as the best deal often beckoned from overseas. Cheap labor, scant regulatory oversight and the rise of global shipping and logistics companies combined to make the latter part of the 20th century a blur of shuttered factories here and booming megafactories over there. It proved to be a mixed bag. While some companies flourished, others floundered. U.S. consumers did gain more affordable access to amazing devices, but the workers making those amazing devices often endured difficult working conditions for crummy pay. U.S. manufacturing employment tumbled, and millions of people lost their jobs. The jobs that remained are in flux. They either pay less or require a lot more, especially as automation and robotics advance. Welcome to American manufacturing in the 21st century. Still a force to be reckoned with, still vital to our economy, still in need of hard-working, highly skilled women and men, our industry has gotten swept up in a fast-rising tide of change. There is no going back, but there are a lot of positive ways to proceed. Chief among them? Recognizing that how you get the best deal is different than it used to be. 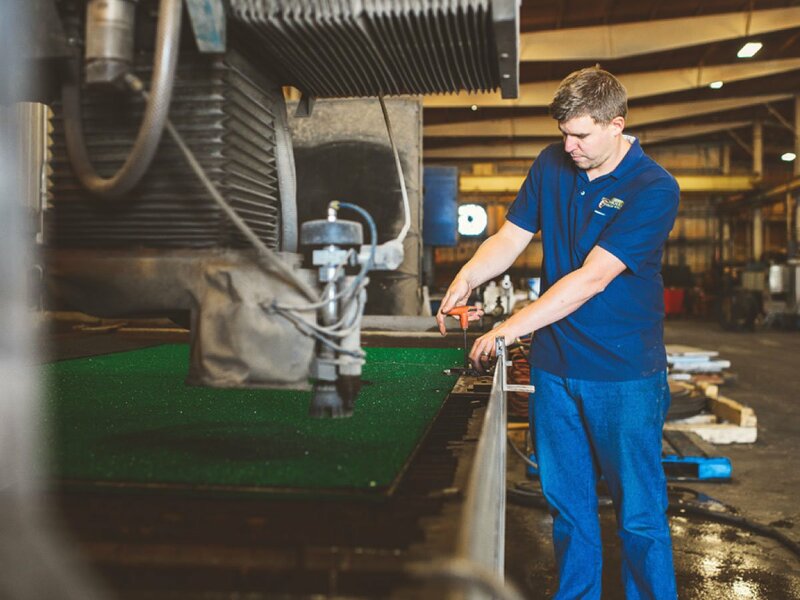 Here at MakeTime, we’re firm believers in the primacy and potency of American manufacturing. We’ve staked our business model on the idea that the best deal can be had right here at home. 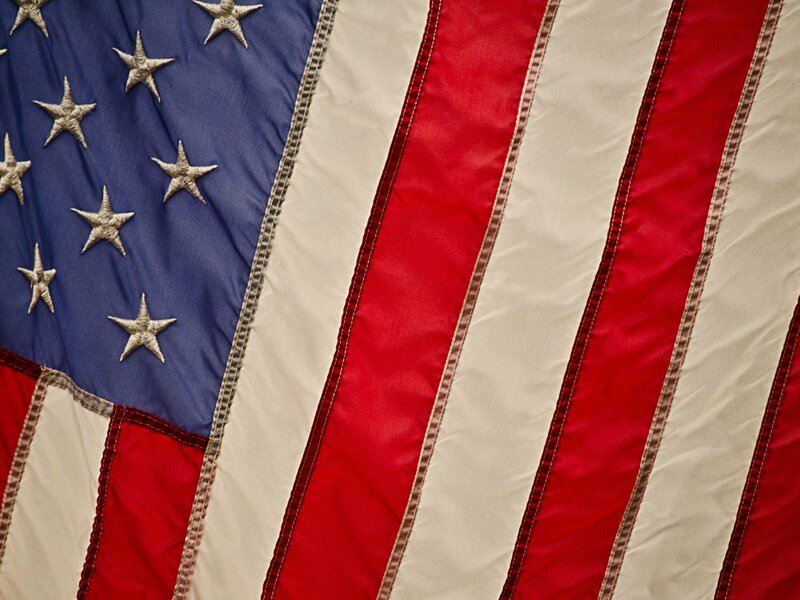 Whether you’re in need of CNC machined parts, injection molds or 3D printing, locating more of your supply chain in the United States isn’t just a patriotic move; it also makes good business sense. It’s time to reshore. Here are 10 reasons to stay in the U.S. for manufacturing. What’s your time worth these days? Not in dollars and cents — that’s a point we’ll make later — but in terms of that actual, fixed resource we call Time? What would you do if, suddenly, you had access to more of it? Procuring CNC machined, 3D printed or injection molded parts on the same continent where you’ll sell your products increases the time you have, because the distance between you and your parts decreases. Remember Time = Distance/Speed? Turns out it’s not just an equation to help you solve word problems in middle school math. When your supply chain is close by, shipping takes less time. Quality issues don’t take months to resolve. Scaling can happen sooner when demand shifts. Reshoring puts time on your side and gives you more of it to work with. There’s another aspect to saving time that makes reshoring an attractive business choice for manufacturers in the U.S. When your supply chain moves at a quicker pace, your products get to market faster, and when you get to market faster, all sorts of wondrous advantages occur. Given today’s fickle, distracted and super-connected consumer, decreasing time-to-market is an essential strategy to satisfying customer demands, beating competitors, maintaining marketshare and attracting new business. (Why do you think Apple seems to put out a new iPhone every 10 days?) Reshoring your manufacturing is an easy, straightforward way to move your products out the door at a faster clip. A Harvard Business Review article from 2012 makes the case that, as U.S. companies have outsourced more and more of their manufacturing needs to other countries, our entire industry’s abilities and capacity to innovate has shrunk proportionally. According to the authors, innovation and inventiveness in design is tied closely with production. If we don’t make what we invent and improve here, the argument goes, we’ll invent and improve fewer things. The relationship between making and designing has historically been a close one. The digital, global environment has allowed that relationship to sever — but at a cost. For companies interested in leading the global pack in innovation, manufacturing in the U.S. is an easy way to shore up our own Industrial Commons, while keeping design ideas — and communication about how to improve them — close. Do you need parts machined on a CNC mill? Do you need to prototype in a variety of materials and methods? Are you ready to move into production for a part that requires a 5-axis lathe? Do you need small batch runs, sometimes of highly variable parts? You can get almost anything you need made here in the U.S. Your average American CNC machinist is a G-code, tooling path and materials genius. The wire EDMs, CNC plasma cutters and CNC lathes sitting in your average shop are all at least adequate and many are top-of-the-line. The technology to stay in touch, send and receive files and oversee production easily exists almost everywhere. There’s no reason not to bet on U.S. manufacturing to make your parts right. Right now, we have the workers, the machines and the tech to pull off almost any job in your production pipeline. Many manufacturers see supply chain SNAFUs as unavoidable happenings that just need to be managed. We think this approach is unnecessarily risky. That being said, if your supply chain spans the globe, it’s probably the best you can do. Why not do better? A localized supply chain is safer and more reliable, because it’s shorter, and when you lean on a distributed supplier network here in the U.S. like the one we use at MakeTime, you also effectively put your eggs in multiple baskets. Should Mother Nature wreak havoc and delay one supplier’s efforts, you can just move your machining elsewhere on the network. Why tackle risk around the globe? A short, localized and distributed supply chain is almost impossible to break. No matter where you stand on the climate change spectrum, making choices that are more environmentally sustainable makes for better business. There is no easier way to contribute less to air, water and land pollution than to shorten shipping routes and timelines by manufacturing your parts and products here in the U.S. Given the volatility of fuel costs around the world, especially as more and more countries look to limit or curb fossil fuel use, it would be wise to protect your company from potentially skyrocketing costs. Do your part to protect the planet’s future and make a sound business decision at the same time by limiting the amount of fossil fuel your supply chain needs to function. Being able to tell your customers that your company supports American workers will mean you get a massive PR boost, which will likely translate into bigger sales. American customers like the idea of buying products made here. It’s why for some time now, the “Made in America” trend has been growing. Given the election of Donald Trump to the presidency, it’s fair to say the trend is likely here to stay. Why not capitalize on it? Few business decisions will reflect so positively on your brand as reshoring production. Rather than spending precious marketing money refurbishing your image should your outsourcing draw negative attention, just get positive attention for free. Reshore. Trying to get the lowest price per part rarely results in the lowest price per part once you figure in landed costs and time. Finding competitive suppliers in the U.S. is a path that actually will save you money. 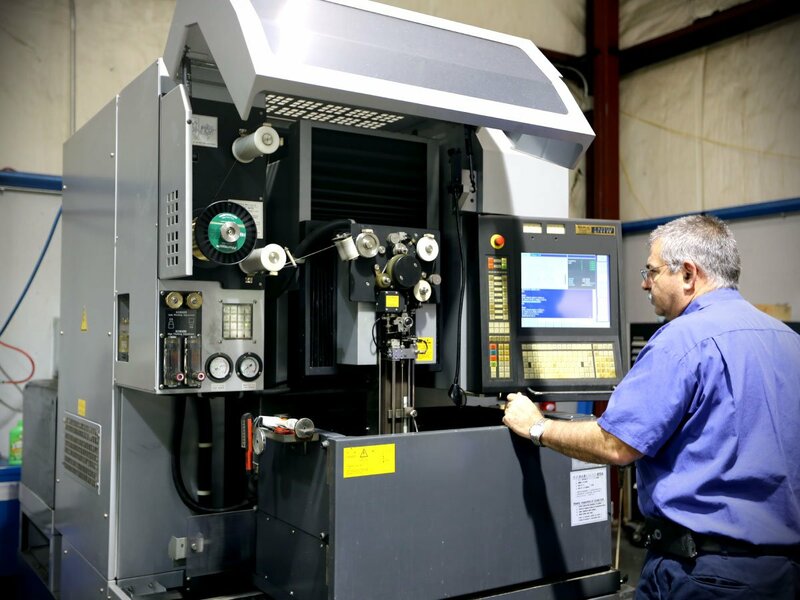 Because most manufacturers only consider direct costs and not operational ones, however, few realize the savings getting CNC machined parts in the U.S. provides. Think of all the resources required to get the parts you sourced so inexpensively here. There’s the cost of shipping, the time lost waiting on the shipping, the time spent communicating across distance and time zones to insure production is going as planned, and if your parts aren’t at quality when they arrive, you get to spend even more time trying to resolve it. Unless your procurement officer or supply chain manager is a volunteer, all that time translates into real money spent on parts. Put that time to better use by putting your supply chain closer to where you are. One way the U.S. Congress and President Bush responded to the housing crash of 2008 was to send checks out to a large portion of the taxpaying public. All across the U.S., individual taxpayers received $300 checks. The rationale behind the $152 billion spending plan was to give people a little bit more cash in hopes that they’d spend it and jumpstart a stalled and hurting economy. At the same time, all that cash would circulate throughout our cities, towns and checking accounts, relieving financial hurt over and over again. Reshoring has a similar logic to it. Every dollar you spend procuring your parts in the U.S. is a dollar you put in the pockets of U.S. companies and workers. The odds are good that some of that money will then be used to purchase the very products you’re manufacturing. Finally, let’s talk about the degree of difficulty manufacturers face when sourcing parts from overseas suppliers. It’s slower. Quality issues can be hard to solve. Supply chain risk inevitably leads to supply chain failure. Time-to-market can be hard to control and speed up. Communication is often spotty, and misunderstandings are costly. The list of difficulties is a long one. Given the availability of online CNC machining right here in the U.S., reshoring can often provide procurement officers with welcome stress relief. Meeting your manufacturing needs here in the United States is easier, and when you consider all the plates you’re spinning right now, doesn’t that sound nice? Bring your manufacturing back to where it originated. From saving time to saving money to saving the planet, reshoring is the best path to good business a manufacturer can take. Find out how MakeTime can help you reshore and streamline your CNC machining today.